Each year, Christmas brings a few of the best artists of all time together to sing carols and traditional Christmas songs. You will hear these songs all over the radio stations starting days before Thanksgiving all the way through the New Year. Some of the top artists on the charts have capitalized on this time of year to release full albums of Christmas favorites. Whether jazz or pop, these albums have become radio hits overnight for the Christmas season. Check out these timeless albums to bring up that holiday spirit during finals. We all absolutely adore Bublé for his subtle charm and dashing good looks, but his voice adds even more to his overall appeal. Putting his own spin on classics like “ Oh Tannenbaum” and “God Rest Ye Merry Gentleman,” Bublé impresses with his glorious jazz vocals. 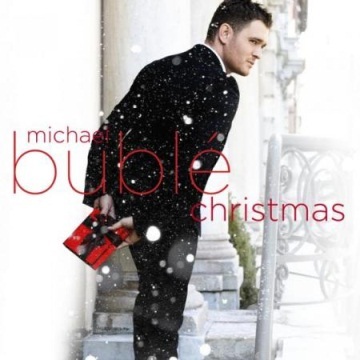 This perfect combination of a vintage sound with Bublé’s old-world vocal style and a modern twist, this album is perfect for getting in the Christmas spirit. Most people may not know who John Denver is, but anyone who does can attest to his talent. His folk-country sound is haunting and melancholic in a way that makes you wish you could take a trip down a country road. Acoustic guitar and gentle vocals define traditional Christmas tunes like “Silver Bells,” but with country inclusions like “Christmas for Cowboys” and “Aspenglow” that make this album unique. We all love Glee albums, and this one doesn’t disappoint, featuring vocals from the original cast. Artist k.d. Lang even makes an appearance on this cheery album in the song, “You’re a Mean One, Mr. Grinch” with Matthew Morrison. This album is perfect for a Christmas party or a car jam session. A timeless classic album for all Mariah Carey fans — enough said. After all, we’ve all held hairbrushes and sung along to “All I Want for Christmas is You.” This pop diva nails each song she sings, Christmas album and all. Before Michael Jackson was the King of Pop, he was a young artist in a family of musical geniuses. This motown-pop inspired Christmas album features the young Jackson’s singing hits, from “I Saw Mommy Kissing Santa Claus” to “Frosty the Snowman.” A true classic in honor of the late Mr. Jackson, this album is a real trip down memory lane.